Burger King is like that dude that out-of-context overhears something that sounds like his name in another conversation and leaps over and says, “Did I hear my name?” and waggles his dumb eyebrows. Trinity College Dublin recently attempted to cash in on the Book of Kells, a 9th century manuscript of the New Testament Gospels that is in the university’s possession. To do so, it filed trademark applications for “Book of Kells” and “BK merchandise” in order to profit from products based on the manuscript’s illustrations, with the ultimate goal of raising money for the upkeep of their rare book collection. It is basically as innocent and worthy a cause as one can imagine. 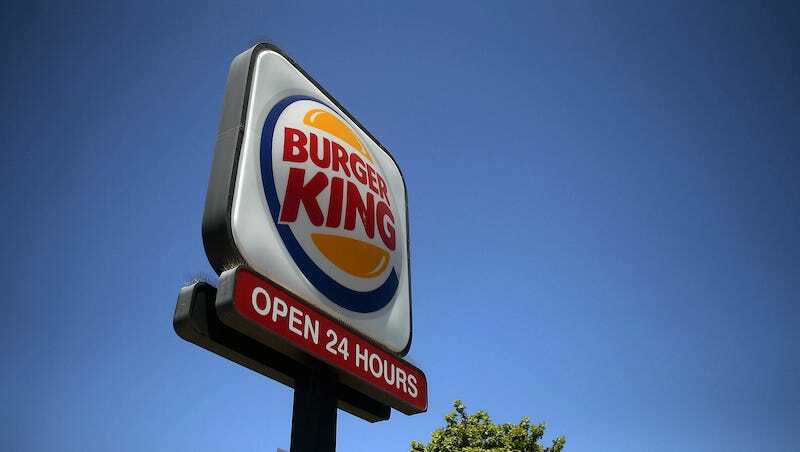 The restaurant chain had to be convinced that use of the initials “BK” to refer to Ireland’s national treasure would not have any impact on their own trademark and their brand of burgers, fries and milk shakes, nor would it cause confusion for their customers (we can just imagine the despair of hungry tourists in Dublin when they’re met with a manuscript instead of a fast-food counter). “Eventually, they understood that Trinity College was not interested in the fast-food business,” said Paul Corrigan, retail and merchandising manager for the university, noting that Trinity finally was granted the trademark.